Percocet Overdose: How Much Percocet Does it Take to OD? A study held by the Center for Disease Control shows that about 200,000 people died from 1995 till 2016, as a result of an overdose of painkillers containing opioids. Percocet is the brand name of an opioid analgesic. The inclusion of acetaminophen as an active ingredient in Percocet formula makes overdose on Percocet extremely dangerous. More dangerous than the opioid active ingredient due to the effects of the acetaminophen on the liver. Because of the known dangers, and high potential to overdose, it is crucial to know the facts about the Percocet OD, it signs and symptoms, and how to handle it safely. What Factors Can Cause Overdose on Percocet? What to Do in the Case of a Percocet Overdose? Percocet overdose is a hazardous condition and can be life-threatening. It happens when an individual takes so much of this drug. It also depends on if the drug is taken with another substance like a mix of Percocet and alcohol. Percocet overdose is possible anytime giving the circumstances that arise when prescribing or taking the medication. For instance, an amount that could be considered safe for one patient may not be safe for another. Sometimes, if patients use this drug exactly as prescribed overdose is still a possibility. How Dangerous is Percocet Overdose? The United States Federal Drug Administration indicates that more than 28 billion Acetaminophen products were bought by customers in 2005 only. This includes the number of people buying these products for prescribed or recreational use. Percocet drug is a Schedule II controlled substance in the United States. It is considered to have high abuse potential and may lead to severe psychological or physical dependence. Although it is more effective than aspirin, taking more than the recommended daily dose can cause serious overdose symptoms. The highest dosage recommended for this drug should not exceed 4000 milligrams a day. Anything more than the daily dosage on a general term is an overdose. A paper published by the New York Times states that 78 people die every day just from opioid overdoses and the misuse of these drugs are on the rise. What are the causes of Percocet Overdose? Many factors can increase the risk of patients overdose e.g., taking doses that exceed the normal prescription rate or combination of the drug with other substances which could make it more harmful. People also using it recreationally tend to pop many pills without caring how many Percocet can get them high. When a patient takes the painkiller outside the prescribed dosage, they could end up harming themselves and experience countless effects of abusing it. The misuse of the drug can also cause an overdose. Another risk factor can occur when a patient builds up a tolerance to the drug. This, in turn, pushes up the dosage to a lethal point. 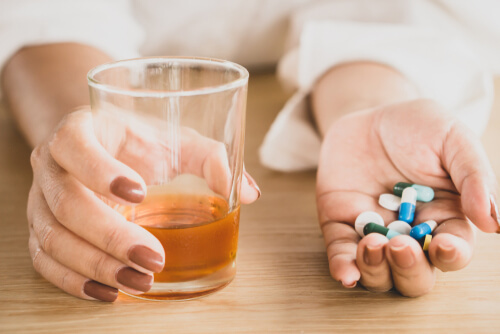 If the person at any point in time relapses, they may try to take up that dosage at the lethal point and unintentionally overdose because their system no longer has that built-up tolerance for the drug. While Percocet is being addictive and boosting their tolerance, they need more pills, or sometimes smoking crushed Percocet pills with marijuana, to get the effects leading to more risks of overdose. Percocet OD can often occur when the prescription is taken a different way other than orally e.g., snorting, injecting or smoking. Mixing Percocet with stimulants like alcohol. Having other serious health issues like liver disease and kidney disease. Consumption of fake Percocet medications, or drugs that have been tampered. If any of these symptoms are noticed, getting immediate medical attention is the best step to take. When Can Patients Notice These Effects? Percocet acts quickly, within about 20-30 minutes after taking a dosage. One starts getting the effects of the Acetaminophen in reducing the severe pain. However, when it comes to Percocet overdose, Acetaminophen overdose symptoms kick in about a day after taking the dosage while an overdose of oxycodone component kicks in almost instantly. It is one of the Percocet vs. Oxycodone similarities. Past and current drug prescriptions etc. Also telling a doctor about the drug and the dosage used could go a long way. This could help them to quickly analyze and decide on a counterpart or procedure to lessen the effects of the drug. While waiting for an ambulance, it is advised to keep the patient awake or in an upright standing position. Make sure the environment is not stuffy and has a lot of airflows. Using an antagonist counterpart to Percocet is also advised. Drugs like Naloxone can help to decrease the symptoms at that moment or help a lot, but it is not guaranteed to prevent overdose or cure it. For someone who takes opioid drugs, they should have Naloxone at arm’s length. 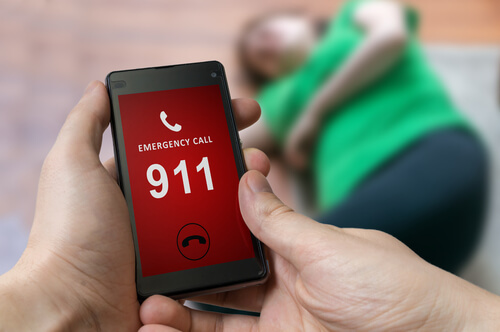 If these steps are followed accordingly, and Percocet overdose symptoms are treated immediately, a patient may successfully prevent further symptoms and reduce the extent of damage induced. As soon as the patient arrives the Emergency ward, supportive therapy will start. The medical personnel in charge would wait for the effects of the painkiller to taper off. If the effects on the respiratory system are severe, the patient will be administered on a ventilator to restore their respiratory drive. For minimal doses of Percocet, patients could return home after detoxification over several hours. 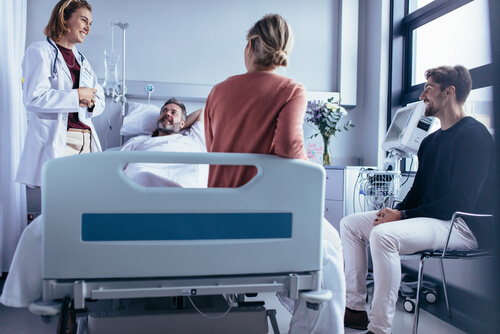 If OD results in the case of severe effects or complications, admission of patients may be necessary until Percocet leaves the system completely. After undergoing treatments of Percocet overdose, patients should be careful when buying Percocet again. Patients should totally avoid drug abuse and always consult their doctors if they want to start the medication again. Patients are advised to be monitored for up to 24 hours after treatment to avoid any upcoming problems during Percocet withdrawal therapy. Even if patients have recovered physically from Percocet OD, psychological treatment is often required too. If you or someone you love have any questions on Percocet overdose or a preferable rehab center, please call our helpline at (888)-459-5511 to assist you. Our support team is available 24/7 to help you and provide any information you want to know. Please do remember, all phone calls are always important, confidential, private and secured. Addiction Resource » Addictive Substances: The Anatomy of Drug Addiction » Percocet Addiction and Abuse Signs: How Long Does it Take to Get Addicted? » Percocet Overdose: How Much Percocet Does it Take to OD?